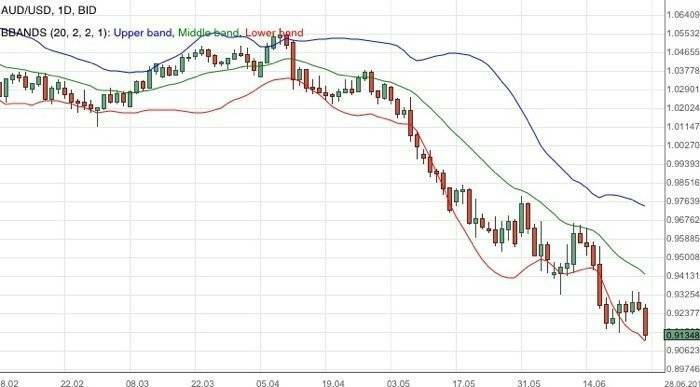 TheGeekKnows.com Learn Forex Trading and read exclusive EUR/USD Forecast and AUD/USD Forecast Reviews. In the previous EUR/USD forecast we noted that continued bearish momentum would see us targeting the extended bearish target of 1.2980. The ripples from the US Federal Reserve stance on tapering quantitative easing continued to inflict negative sentiments causing sell offs from most risk assets. Looking at the EUR/USD daily chart above we note that the currency pair did test the 1.2980 region as expected. 1.2980 will probably be a crucial support region. Should the EUR/USD breach the support, we may be looking at a bearish target of 1.2880. This would also coincide with the lower bollinger band. Any bullish correction would likely take us to the 1.3120 resistance region. continue on to TheGeekKnows.com for the fundamental analysis of the EUR/USD Forecast Weekly Review to understand more about the underlying market sentiments. In the previous AUD/USD forecast we noted that the currency pair was testing the support of 0.9210. It was a crucial support as a failure of which might open up further bearish weakness. From a fundamental point of view, the Australian equity index ASX 200 continued to be red due to weak sentiments. Looking at the AUD/USD daily chart above we note that the currency pair had dropped further and broke beyond 0.9210. Should the daily candle remain below this support and resistance region, we may be looking at an extended bearish target of 0.9 for the AUD/USD. 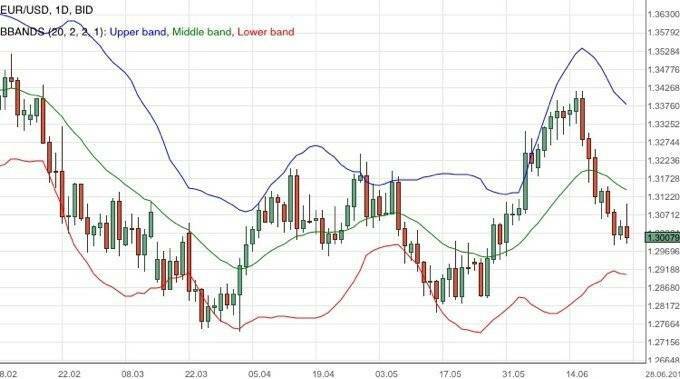 Any bullish correction may see the currency pair testing the resistance of 0.9325 again followed by 0.9400 as suggested by the middle line of the bollinger bands. The Aussie dollar is heading towards it’s largest quarterly drop since 2008.
continue on to TheGeekKnows.com for the fundamental analysis of the AUD/USD Forecast Weekly Review to understand more about the underlying market sentiments. The EURUSD failed to continue its bearish momentum yesterday and hit 1.3074 earlier today. I still prefer a bearish scenario at this phase but nearest term bias is neutral probably with a little bullish bias testing 1.3100 – 1.3150. A clear break and daily/weekly close above that area will interrupt the bearish scenario testing 1.3200/50 region. On the downside, we need a consistent movement below 1.3000 to continue the bearish scenario testing 1.2950 – 1.2900 or lower. The GBPUSD had a bearish momentum yesterday bottomed at 1.5200 but corrected higher earlier today hit 1.5277. The bias remains bearish in nearest term retesting 1.5200 which could be a good support and a potential low on weekly candle. Immediate resistance is seen around 1.5300. A clear break above that area could lead price to neutral zone in nearest term testing 1.5350 or higher but overall I still prefer a bearish scenario at this phase. The USDJPY had a bullish momentum yesterday, break above the range area and hit a fresh weekly high at 99.00 earlier today. The bias is bullish in nearest term testing 99.30 key resistance area. A clear break and weekly close above that area would activate my bullish mode. Immediate support is seen around 98.20. A clear break below that area could lead price to neutral zone in nearest term as direction would become unclear testing 97.50/40 area. The USDCHF continued its bullish momentum yesterday topped at 0.9486 but corrected lower earlier today hit 0.9427. The bias is neutral in nearest term but overall I still prefer a bullish scenario at this phase and price is still making higher lows and highs on daily chart. Immediate resistance is seen around 0.9460. A clear break above that area could trigger further bullish pressure testing 0.9500 or higher. On the downside, key intraday support is seen around 0.9400 – 0.9380. A clear break and weekly close below that area would interrupt the bullish outlook. USDJPY has been stuck in a range play between 97.27 and 98.74 for the past week with prices yesterdays closing just under the 50 Fib retracement level for the past months sell-off. From indicators we see a confluence of buys with stochastic looking poised to push back into overbought levels and macd’s just under the zero line while thursday close managed to stay amove the daily EMA’s. In the lower time frames we have 4H stochastic oscillating around the zero line while macd is also poised to push higher with anew bullish cross. Hourly charts has macd trying to push above its signal line while stochastic has been oscillating around 80. At the moment we retain a bullish bias for USJPY though we prefer looking for a push past 98.74 as our entry. After seeing a false breakout Wednesday we once again have Kiwi with a long wick in the daily charts with Thursday closing still inside the weeks range play suggesting we play the same ranges. Among indicators we have daily macd’s bottoming out and stochastic heading up though proximity of the EMA lines suggests we are well capped. In the lower time-frames we have hourly macd’s heading lower and stochastic with a new bearish crossover. From 4H charts we have stochastic pushing oversold while macd is at risk of a bear cross, staying flat just above the zero line. For now we have prices below the daily pivot, along with the long wicks in daily candles and general range play for the week we prefer looking for shorts to the 0.7712 region. Note false breakouts on the top side are a risk though we prefer shorting into rallies. We once again saw a sell-off in Cab le pushing past the 61.8 Fib retracement for the rally from May 29. Indicators show daily stochastic pushing back inside oversold levels while macd has pushed under the zero line. Daily EMA’s are poised for dead crosses. From the lower time frames we have mixed signals with a bullish divergence in 4H stochastic while macd is heading lower. Hourly charts for their part are also mixed with stochastic coming off overbought levels and macd’s heading up. For now now overall bias remain bearish prices just under the daily pivot for a possible short at market with stops and reverse on a close above 1.5267. Note that we have the final trading day for the week, for the month and for the quarter, we risk extreme swings as traders close out their positions. Gold has seen a sharp sell-off in the first of hour trade following the Tokyo open with prices now within striking distance of the 61.8 Fib retracement level, 1155.54, for our rally since October of 2008. Among indicators we have a confluence of bears as stochastic pushes even further into oversold levels inline with the daily MACD’s. Note we have a growing gap between prices and the daily EMA lines, we have also sold off for the past month and the past quarter making us vulnerable for position squaring In intraday charts we have a confluence of bears with 4H stochastic just pushing oversold and macd’s dropping. Hourly charts as well has macd bearish though stochastic for now is off oversold areas. With the end of the quarter, a concern for us is a sudden pull back though overall bias remains bearish. The EURUSD continued its bearish momentum yesterday slipped below 1.3000. As you can see on my daily chart below price broke below the EMA 200 suggests potential further bearish scenario. The bias remains bearish in nearest term testing 1.2950 – 1.2900. Immediate resistance is seen around 1.3050. A clear break above that area could lead price to neutral zone in nearest term testing 1.3100 – 1.3150 but overall I still prefer a bearish scenario at this phase.